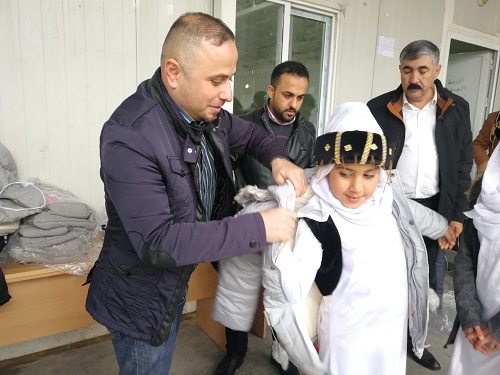 Hammurabi Human Rights Organization continues its relief support to Yazidis in the camp Kertu 3 in Duhok by distributing rain jackets to (156) male and female children. 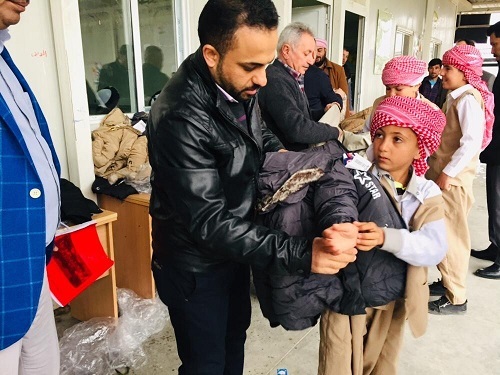 A relief team from Hammurabi Human Rights Organization headed to the camp Kertu 3 in Duhok province and distributed relief services to (156) male and female children of Yazidis, some of them orphans who lost their fathers and mothers during the terrorist attack of ISIS on the villages and towns of Yazidis. 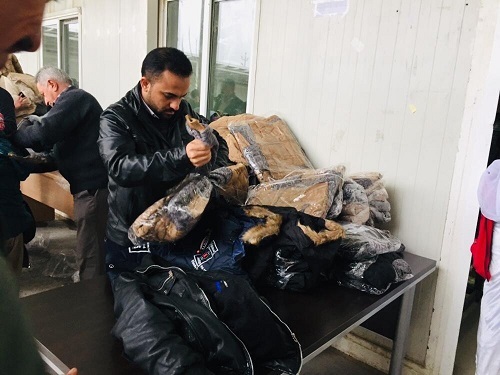 The relief campaign included distributing winter rain jackets. The distribution took place at Kania Sabi School on Friday February 8, 2019. 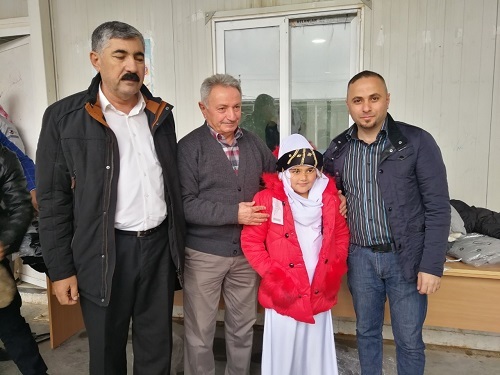 The relief team included Mr. Akad Yohanna Ishac, member of the Board of Directors of Hammurabi Human Rights Organization, Mr. Yohanna Ishac member of the General Board of the organization and Mr.Nashaat Semorto. 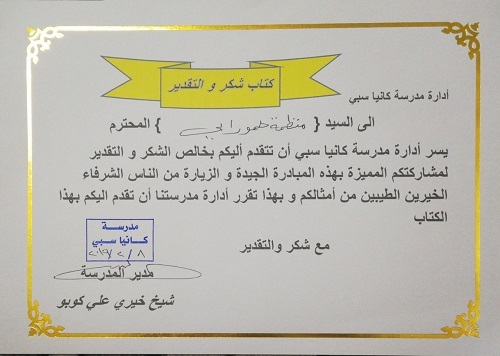 The management of Kania Sabi School sent a letter of thanks and appreciation to Hammurabi organization for this relief initiative, describing it as outstanding. The relief came with the support of CSI. 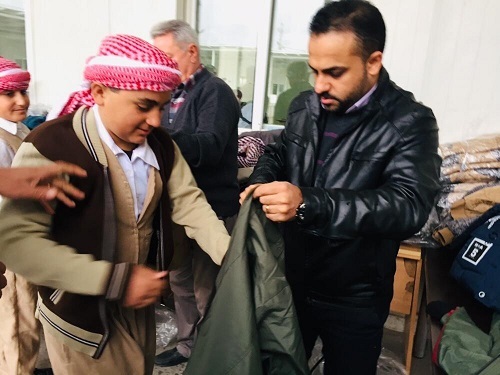 It is to be mentioned that a relief team from Hammurabi organization headed to Sheikhan district of Nineveh province on 27/1/2019, where a center for Yazidi orphans who lost at least one of the parents. 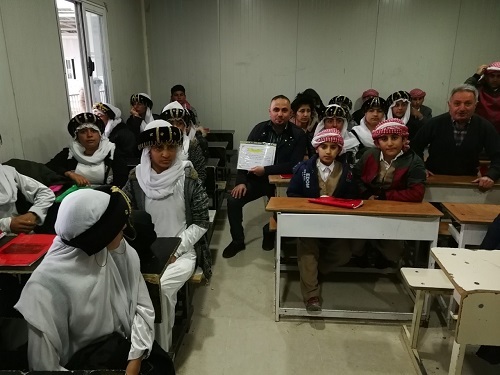 The center supervised by Ain Safni organization for Community Development. 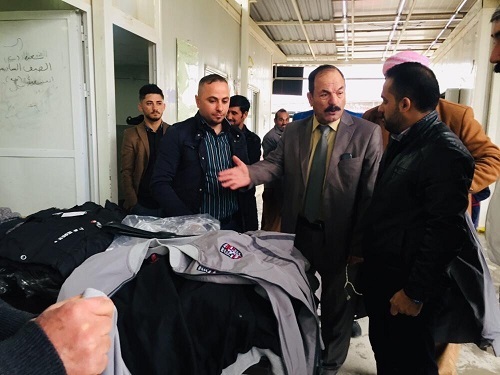 Hammurabi Human Rights Organization distributed relief items including blankets, rain jackets and towels, as well as (1320) litres of fuel for heating covering 50 orphans ranging in age from the third to the 18th years old who are victims of ISIS including five women and all those involved in the relief are Yazidis who were severely damaged by aggravated crimes of ISIS. 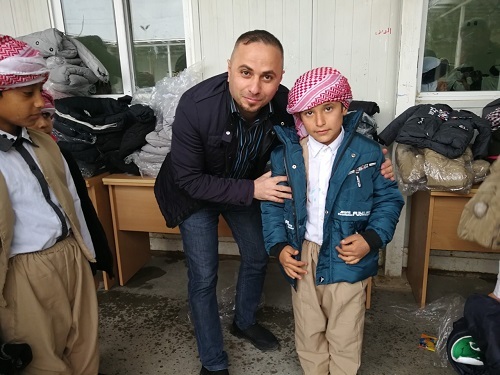 The distribution took place at Yazidi orphans at the center of Sheikhan district of Nineveh province.The relief team including Mr. William Warda member of the Board of Directors of Hammurabi Human Rights Organization and Public Relations Officer of the organization , Mr. Farhan Yousef member of the General Board and Mr. Raed Nissan one of the volunteers of the organization in Sheikhan district , Mr. Hadi Baba Sheikh the personal secretary of the supreme religious authority of the Yazidi and known as (Baba Sheikh) ,as well as number of officials and members of Ain Safni organization for Community Development. 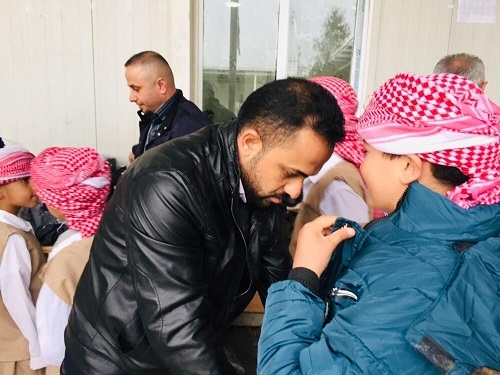 The relief came with the support of Christian Solidarity International CSI, being the first relief campaign of Hammurabi Human Rights Organization HHRO for the year 2019.